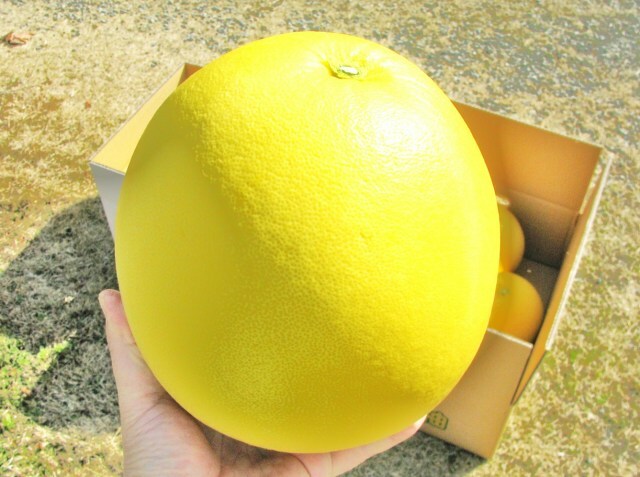 The King of citrus fruits "Bampeiyu" which sometimes are shown the thing growing big to a soccer ball and more than 2 kilos in weight among big things(3L). 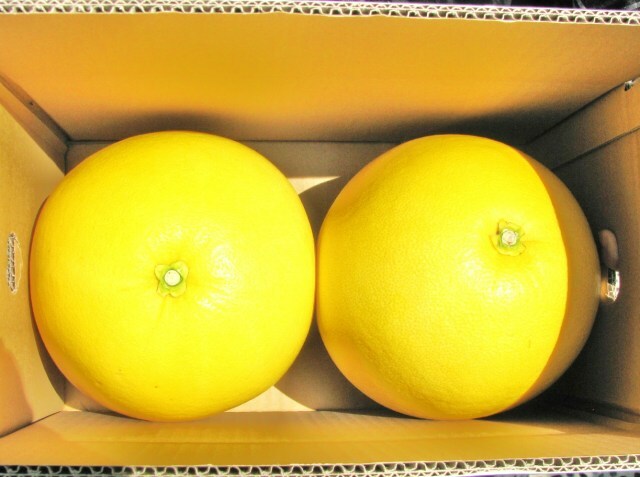 It is the special product of the Yatsushiro district in Kumamoto. 晩白柚 is pronounced "BAMPEIYU". A characteristic is to have a very good save ability. 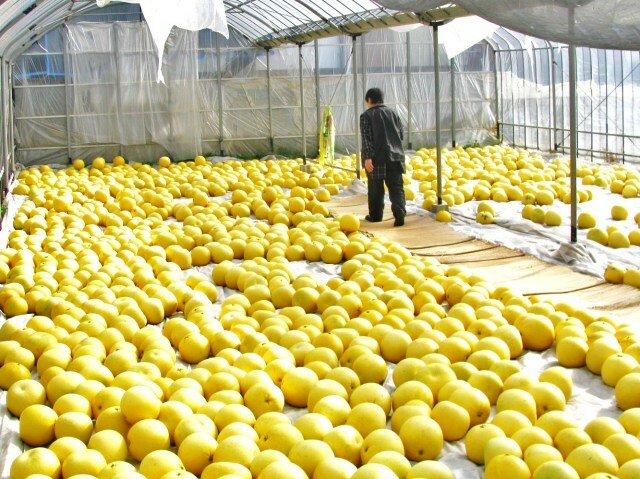 It is an excellent thing which it can be stored at normal temperature in minimum 3 month. Fragrances are also very well and good as presents. 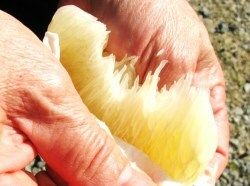 1.It's delicious three times to eat one piece! 2.Using only organic manures. Reducing pesticides. 3.Water is well water. Farming during 42 years! 5.I'll send you a recipe paper to cook "Bontang-zuke"(sweets). It's delicious three times to eat one piece!.....You don't understand it even if you hear only this, do you? 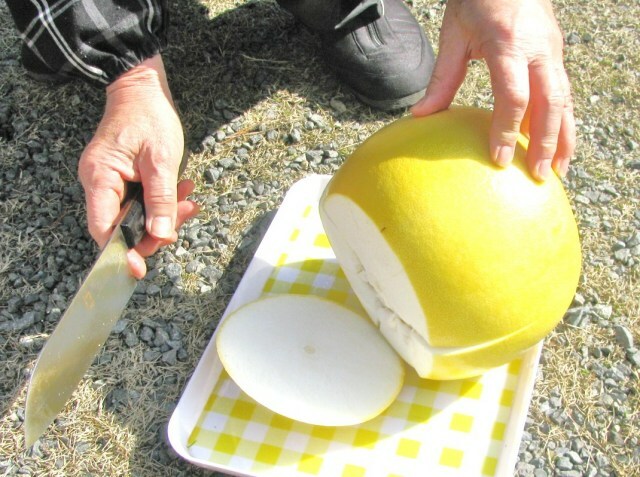 It is a meaning that a large Bampeiyu which its diameter is as much as 20cm have three kind of enjoying ways. 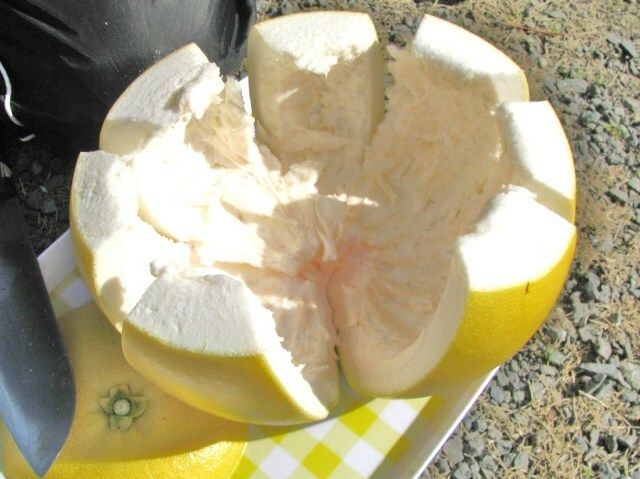 At first, the way of enjoying to eat fruit itself. In fact, it is sweet but not so sweet, and sour but not so sour. Because each cells are large, a petit-petit-feeling when you move your mouth would be irresistible. 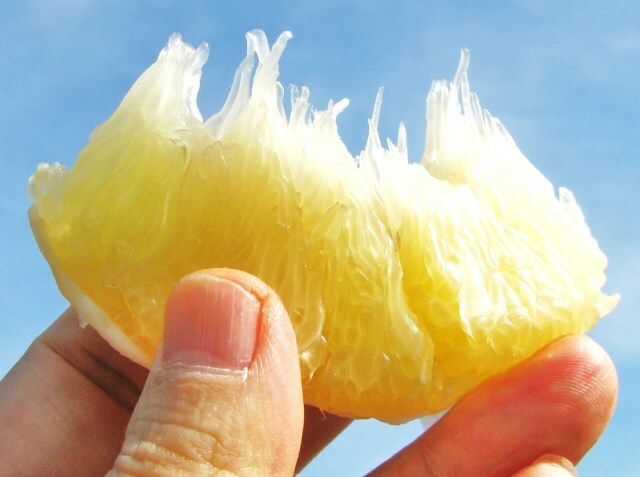 The second way is that you can enjoy the peel as confectionery. 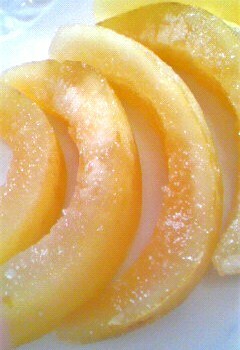 Please make the white and thick portion (called "cotton") of peel "Bontan-zuke" (confectionery). That is sugar sweets. It is a cake to be addicted to, and the people who make this way of enjoying main enjoyment than the fruit itself increase. 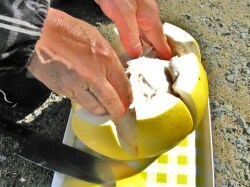 The third way is to use the peel as well, with yellow outside-peel. That's to say, float it on the hot water of bath-tub. It is so good scent. That would not be defeated by any bath additives. A farming family is "Yokobayashi married couple" in Yatsushiro-city Kumamoto. As for manures, they use only organic manures. They have not missed fertilizer applications in September, June, March and November,quarterly a year. 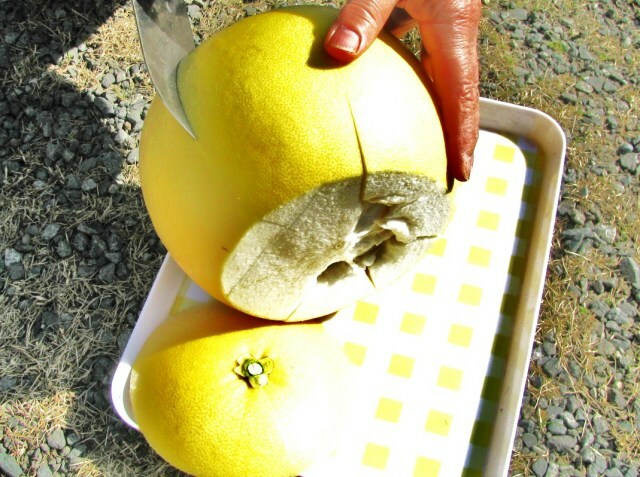 In addition, because the husband is "allergy of pestisides", as a result of having repeated the devices how they reduced a pesticide somehow, they hold below down spray volume of pesticide into four times though it is said that "8 times a year are usually necessary". Of course, theirs can be said to be pesticide-reduced farming. They make a roof in a plastic greenhouse because the rain often causes a disease from March to the beginning of July. It is just an image to avoid the rain in the rainy season. Nevertheless, spray of water is necessary. The water used this time is wellwater. It is so enviable Bampeiyu, isn't it ? A device of reducing pesticides, and a device of water. To be surprised thing is that they continue such a device full of originality for 42 years. They say that they often say in public for instance "this year is a bad crop age", but mine grows in the same way every year. Therefore they are a just reliable farming family. As for peelig, there is a secret. 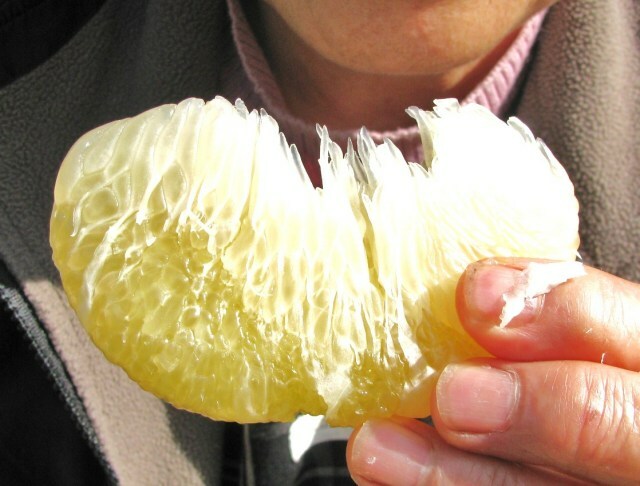 Because the thickness of peel is nearly 2 centimeters, you would be a hard labor. 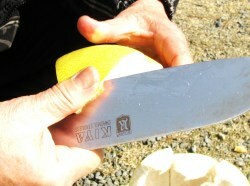 At first prepare a kitchen knife. 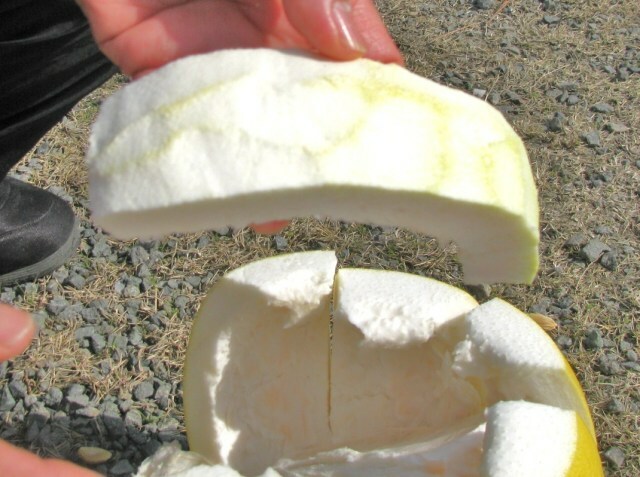 At first cut the peel of the fruit's upper part (a side of calyx) at about 2 centimeters like a photograph. 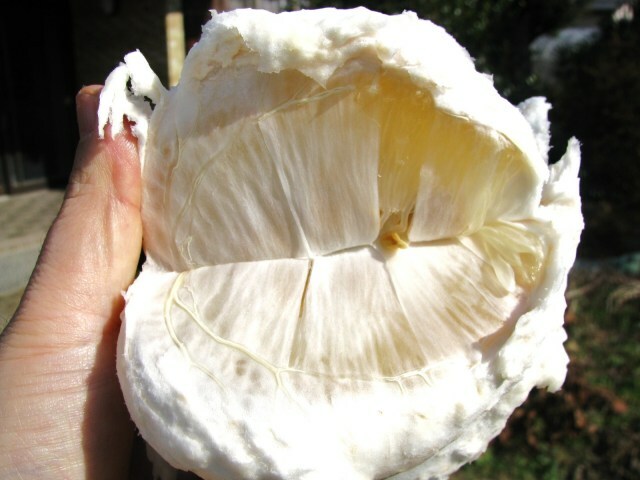 Next,With a kitchen knife, turn on a cut of around 1 centimeter in depth every five or six centimeters lengthwise. 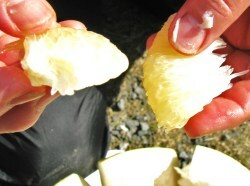 And, put your fingers into the between peel and fruits at a littele bit at a time and tear off a fruit from peel. Besides, I will send you a recipe of the local cooking which is edible in Yatsushiro district "Bontang Zuke" (sugar confectionery). Please just wait.